Businesses often need help to find their site strengths, weakness, and pin point advanced opportunities to win featured snippets found in search engine page results (SERPs). A technical website audit reveals hidden “site health” issues that may impede your progress in gaining visibility in SERPs as well as to identify topical lapses across your entire website that your viewers want information on. It will take a look at foundational site SEO issues and much more. Shortened user attention spans, more devices, the fast adoption of mobile search, higher levels of Internet use, very specific markup for Aggregated Reviews, and more intense completion all add up. Your business needs the benefits of a clean and healthy website that doesn’t send search engines packing. We can help you gain every advantage possible once we learn what is broken, if it is your JSON-LD for an image, or structured data markup for a product, or whatever, and what opportunities are waiting for the taking. Website configuration errors commonly come along with template use and they can stop your content from getting found. Let’s start with a definition that Ryte.com offers: “Technical SEO is a part of Search Engine Optimization, which focuses on the technical optimization possibilities of a website. These include, for example, the source code, operating systems, and server configurations. Technical SEO is never solely responsible for a good ranking of keywords, but rather a prerequisite for further optimization actions. Consider that fact that your website is a highly visible representation of your company and can work very effectively at winning new business leads for you. Once it is technically healthy, well-optimized, and has earned trusted domain authority, you may be labeling it as the best functioning employee that grows your business revenue. You can leverage Artificial Intelligence to engage the right site visitors. You may have jumped at the opportunity to take advantage of several free site audits. Hopefully, you gained a measure of improvement. But many come to us even more at a loss of knowing what is wrong and why they are dropping in SERPs. If what used to work to gain relevant site visitors is tapering off, and you’re scrambling for new business, we can help! The success of our technical SEO website audits has proven to align customer needs, search engines’ ability to crawl your site more effectively and your business goals. In simple speech, your ability to improve search engine rankings bears a direct reflection of your brand and whether or not you have the chance to engage potential customers online. Generally, our audit will diagnose the problems a site has. No one initially wants to see that, and we quickly move past a “problem focus” to how the real goal – eliminating issues that hold your business back and switch that up to “new ways to advance your online marketing.” Often eComerce website technical issues remain un-hidden until a dedicated effort stares them in the face, undaunted by faults, and fixes them! Hill Web Marketing is passionate to see that clients have success, so we go in under the hood and often catch issues, especially that affect load speed that have been previously missed. Repairing on-site errors that have technological roots may not solve all of your problems. By taking this practical approach, we can also better assess whether or not you targeting the right audience, if you’re the voice of your language appeals to potential customers, and reveal additional online advertising opportunities. The end value you gain includes a marketing plan that helps your business deliver greater value to prospective buyers. 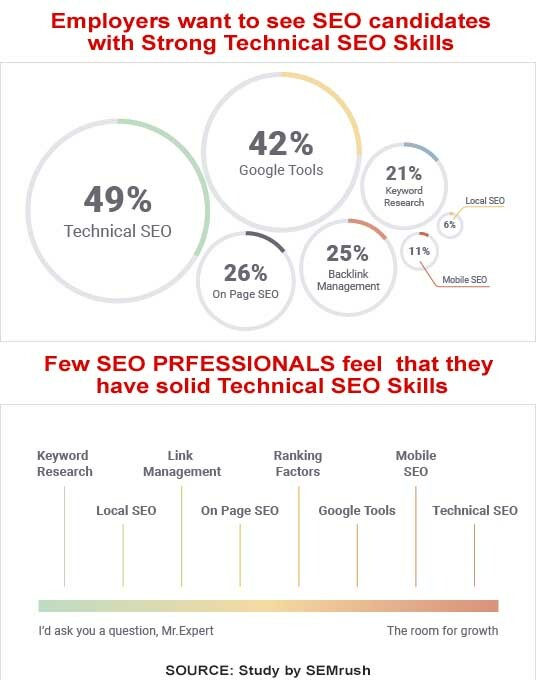 Businesses are looking for people with strong Technical SEO skills and yet most SEO professionals feel that they are weakest in Technical SEO, according to a survey by SEMrush. They came up with the 7 Most Valuable SEO Skills of 2018, with such technical skills leading the list. Expert use gleaned from deep experience with Google tools followed by On-page SEO, Keyword research, and Backlink management, Mobile SEO and Local SEO fill out the rest of the list. Effective white hat SEO starts with different technical facets of a website. 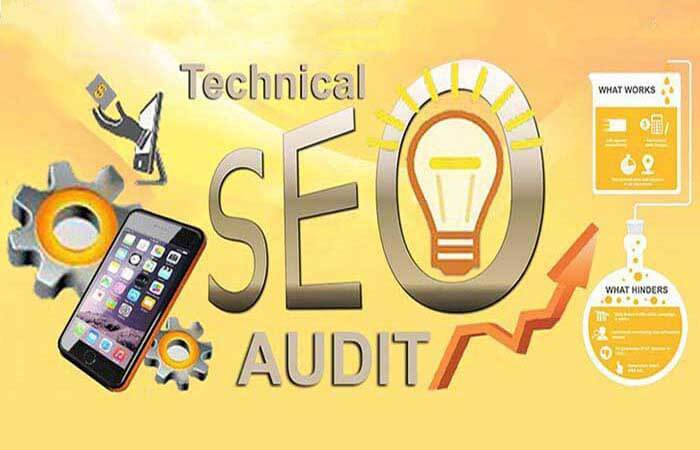 Performing a technical SEO audit attains the details as to whether all your web pages and digital content are being crawled or indexed correctly. With the heralded advent of Penguin and Panda Google Algorithms, a gentle nudge told us that these tags were available to use for clarifying certain information. Today it is no longer hinted at – all major search engines are asking for it and using it. Schema.org and Google structured data markup are unique coding techniques available for websites to encourage search engine’s ease in returning relevant and favorable returns for users. Learn more about our schema audits. A quick and ready resource to start a technical SEO audit is Google Webmaster Tools. Here most SEOs can obtain immediate feedback as to the technical health of your website. Another free tool is the W3C Markup Validation Service****, where you can see HTML and CSS errors and warnings that are negatively affecting the performance and usability of your site. We use many additional for-pay diagnostic tools, know how to glean the most from them, and how to interpret the findings that you really need. It is easy to become exhausted and buried in a backlog of SEO reports; in themselves, they are useless. The Technical side of your website can resolve website performance issues and improve search visibility. If you are changing name servers, that alone should not cause any changes in SEO ranking; however, there may be other factors about the new server that could produce changes in search engine ranking. These changes in ranking will not happen because of the nameserver change; they may occur because of issues related to the new server. A few include low-quality neighbors in the same bucket, low bandwidth, overseas locations, lag issues, DOS issues, poor hacker protection, and excessive downtime. Think of the problems you will encounter if you have are pointing AdWords advertising to a landing page that cannot even display because the entire site is down! It is really surprising and rewarding to see how much impact that updating to a faster web host has. After migrating several client’s site – without changing anything else – some sites improved from average to lightning fast speed. Users don’t have to wait; you don’t lose the on-the-go visitor. We will help you determine if it has errors or can be improved upon. Deepcrawl.com says, “Auditing URLs being blocked by robots.txt is potentially massively risky to your rankings”. A robots.txt file facilitates control over how Google’s bots crawl and index your public pages. There may be many issues to be solved that this audit churns up, and finding the wrong disallowed URLs is one of them. When your site has thousands of pages, and yet only a portion of them show up indexed by checking Index Status, it is time to dig deeper. You need every page working hard on your behalf. Knowing number is one thing, but truly understanding why what that number means and why your site’s other pages are not indexed in quite another matter. It is not practical for most business owners to take the time to learn what the issues could be, where to check, or what exactly to look for. It is easy for you or someone to remove a URL that is no longer relevant without taking proper steps. If you or someone has done so without the knowledge of how it impacts your site’s health, this is a critical task. Broken 404 links have the potential to destroy your online business over time. Most SEO audit tools rank them among the worst offenders that degrade your site’s health. “The indirect damage can be even more devastating. When Google or other search engines see a large amount of users bouncing from your page, it raises a red flag and your page, and sometimes entire site, it deemed irrelevant”, warns seositecheckup.com. 404 errors and dead links are frustrating to users because they go nowhere. When that repeatedly occurs, visitors are less likely to return. GoogleBot and other search engines consider a range of factors to rank a page, but when visitors have frowned on your site and abruptly exited, a negative bounce rate comes into play as well. It is challenging for non-technical marketing and web design experts to also understand these aspects of a site’s success. They are already accomplishing a lot. A thorough technical SEO audit takes a close look at the status code, response headers, redirect location and possible redirect chains of any given HTTP connection. Redirect loops cause giant-sized problems as the browsers are left to try and try again to resolve this issue when you want your pages to display in a second if possible. We can often halve the number of HTTP requests without making any changes to the visual user experience. You want to have both effectively working to help search engines and users understand your website. There are various ways to set them up and maintain them. We will help you establish best practices and the latest formats. By choosing your preferred sitemaps to submit to search engines, you have more control – but it is not guaranteed. For sites with well-developed content, we recommend the use of multiple sitemaps that offer the advantages of unique features. We believe that every technical SEO site audit should focus on every advantage it can offer you. 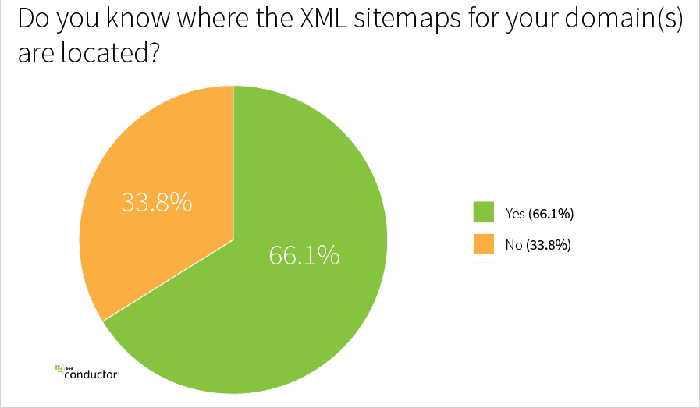 According to Conductor, as of March 2016, a startling “33.8% of search marketers don’t know where their XML sitemaps are located”. That is what many a business faces who hires an SEO staff without doing their research well first. 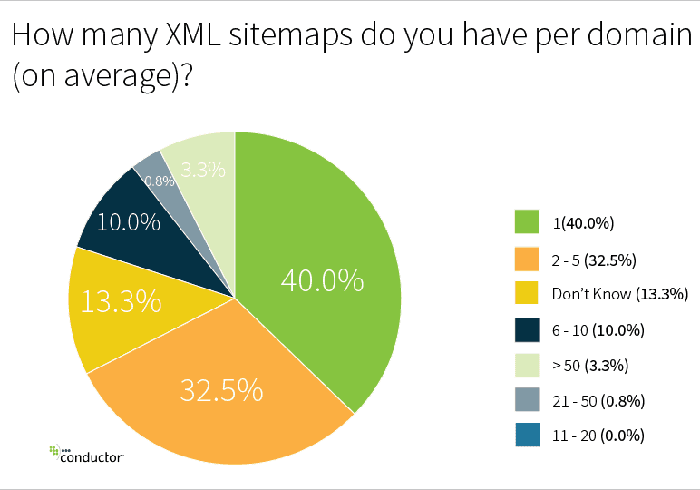 An even fewer percentage know how to utilize media rich sitemaps. These are great when you have a website with a ton of rich media. These assist in gaining higher SEO rankings for video and image tags used by Google search. It is easy to load up a website with fun graphics, sliders, and tons of accompanying files that make them stunning without realizing that they may drastically impact a site’s speed. Every file that a browser has to open and read in order to render a web page takes time. Sometimes they end up needing to make round trips that again take valuable time while the user is waiting. Opinions range on the importance of site speed as a ranking factor, especially with mobile optimization factors. Whatever you believe, most concur that it is a fundamental element of a great user experience. Website Gzip compression makes it possible to lower the weight of web pages and any other content often by 30% or less of its original size. CMS and blog platforms sometimes create dynamic or messy URLs when new content is generated. For example, you may face pages like “index.php?p=142087″ rather than a nice clean and useful URL. Not only do you miss the chance to give GoogleBot keyword clue in your URL, but you may damage your site credibility with search engines and site visitors. Next, it is vital to update those URL wherever used internally, or correctly set-up 301 redirects on the old URLs.” Locating and dealing with excessive parameters or session IDs will improve your site. The demands of how a website needs to perform to engage mobile users are rapidly evolving. If your website’s performance offers a weak user experience on smartphones, wearable devices, and tablets and is slow to load on mobile, potential buyers will likely hit the dreaded back button. Some companies reroute users to another mobile-friendly site, but doing so can cause challenges. A few just to briefly mention are an increase in resource consumption and maintenance tasks. Accelerated Mobile Pages (AMP) are now live and favored by search engines. User preferences are behind the craze for better and faster mobile pages. It’s so new that we understand why most businesses are unsure of what they should do in response. Mobile use is expanding and for site that have the added profit benefits of AdWords marketing, the advantages of being highly mobile optimized quickly pay off. Your site long-term history may have dimmed over time from your focus, but not from search engines. I am amazed a the number of time we uncover canonical sites or issues using both www and non-www URL addresses, or other duplicated formats that spoil ranking abilities. It is necessary to tell Google which of several URLs you prefer for its indexing to help avoid duplicate content issues. Almost without notice, frequently websites end up with multiple versions of the homepage; while ultimately reached through various URLs, problems come along with it. Having several versions of your homepage may generate unwanted duplicate content issues. On top of that, it likely is diluting link equity that your site receives by spreading across the different URLs. You may be diluting your site’s authority, creating two or more weak sites from subdomains instead of one strong, authoritative site. If you want to achieve an authoritative website status with search engines, one which ranks high across many web pages, then you need to create strong relationships among your pages and know the impact of any subdomains. We all love seeing web pages that are visually appealing, and we have tons of image options to choose from. What often goes unseen is how the same stunning visuals may adversely impact how the page loads and other technical SEO Metadata aspects. Custom images loaded with exquisite fonts and intense colors may make the page compelling, but to Google, it’s just an image. There are also methods to help your images pull up in image searches. By blending modern Web fonts, HTML, and CSS resources, the attractiveness of a great image may be kept while the integrity of your site’s SEO is upheld. Finally, build links naturally to your web page. There is no alternative to link building. Nor should it come first. Links are still an integral Google ranking factor. Without affirming quality backlinks, your page simply may not pull up in SERPs, even if you have the best copy. Google’s Penguin updates put pressure on site owners to review the new definition of what questionable link building practices are and where they may be in its crosshairs. Link building is essential for a positive site backlink profile, but it also introduces chances of risk unless you are confident of how to do it correctly. Planted only for SEO purposes, spam-like, irrelevant, and “black-hat,” or “pure bad,” backlinks can cause your site to fall into the penalty zone. Backlinks should be gained through relationships that trust your web content and accrue at a natural pace, be diverse, and from varied trusted sources. In addition to whom links to you, your outbound links, and cross-linking between internal pages is also important. Our audit will include an overview of your site’s external links, internal links, whether or not they are do-follow, and the anchor text that they are comprised off. 16. Are your Landing Pages Correctly Structured and Coded? Even if your landing page has strong copy, testimonials, an engaging video, structured data implemented correctly, and content that users find emotionally – your web page still needs the right sort of inbound links. While the reason for creating your page is to engage your audience and give them answers, if your landing pages start to rank for highly sought after search terms, you can always test different copy or CTAs to increase your conversion rate. Copy should avoid overuse of a Keyword phrase – that is called keyword stuffing. It’s when a page is doused with the same keywords and long-tail phrases that relate to the main search term. It’s an old SEO practice that today should avoid at all costs. There are four landing page categories include 1) a compelling offer, 2) a simple form, 3) established trust, and 4) visual hierarchy to make the page easy to use. A lot technically goes into each one working perfectly. –	A website’s backlink profile is made up of external links that point to the site. –	As search engines decipher who has authority on a topic they consider backlinks to a site as votes. –	The HTML tags associated to that link may have either a nofollow or an dofollow attribute. They factor into how search engines rank a site and pass link juice. Since the implementation of Panda‘s existence, the volume of ad-space on a given page has become one aspect of our technical evaluations. There is a preferred content balance you should have above the fold on a PC. You may have pushed the limits and tipped the balance into have more ads than unique content; which needs remedying. • That no “shadow” domains exist that funnel users to a site by using deceptive redirects. • That no “doorway” pages are found that make you suffer from with keyword stuffing penalties. • That no hidden black hat links exist. We all make mistakes and we all are continually learning. A technical SEO audit also finds opportunities – not just black hat SEO – and errors that no one intended. Besides, how fast is SEO changing? When someone that you have never heard of claims to be an SEO expert that can guarantee rankings, allege a “special relationship” with Google, or advertise a “priority submit” to Google, walk the other way. It is awesome when someone jumps in and seeks to learn and get a job done. There is a place and time for that, but when it comes to something that could tank your web presence, make sure and SEO / SEM expert is at the helm. There are business ethics that come into play in every industry. Unfortunately, in the SEO industry, there have been plenty of deceptive practices. The Google Search Engine Optimization Guidelines are pretty well laid out and easy to follow. And we cannot forget how the mobile world is influencing the technical aspects of your website and the key to customer jourmey mapping. The mobile-first index affects through how Google’s new method of indexing may affect how crawlers see your site based on the mobile experience. As, well, there seems to be new way of weighting internal linking practices. One aspect of Technical SEO is making sure that no orphaned pages exist, every published page or post should be linked to from somewhere on your website. You really cannot expect search engines to think that the page is worth indexing if you don’t value it enough to link to it yourself. How Often is Technical SEO Diagnosis Needed? Depending on the stakes involved for your business income, how often a business needs a technical SEO audit varies. Typically, we recommend conducting somewhere between monthly and quarterly. An e-commerce website owner may be super keen to have issues solved asap. Depending on the scope and complexity of the site, consider conducting a quick audit anywhere between once a week and once a month. That might come across as overkill, but if the site is well-maintained keep on par with current SEO tactics, to begin with, often this is just a routine check-up. If your webmaster uses a significant number of automated processes, plugins, third-party resources, and your development team is working on multiple updates on at any given time, even minute SEO mistakes can quickly spiral out of control. Therefore, it’s a good idea to schedule your next technical SEO audit to be sure and numb any burgeoning SEO issues before they become more challenging and cause you a loss of income. Sometimes a trained set of fresh eyes on a large site with a busy, overworked dev team is a huge advantage to quickly identify what is causing sinkholes in your site and how to remedy them. The 116 SEO Myths to Leave Behind that was updated on May 13, 2017 by Danny Donchev is an eye-opener. He says that, “having too many broken links on your page may be a sign of a neglected or abandoned site. The Google Rater Guidelines Document uses broken links to determine homepage’s quality”. Many sites fail to schedule re-occurring audits and miss when links break and other technical issues impair a site’s performance. Some aspects of a website’s design merit little attention; other aspects of the technical side of things can completely knock a site out of view. 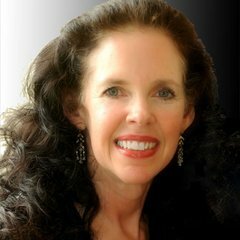 At Hill Web Marketing, owner Jeannie Hill is passionate to find technical SEO issues that may hinder a website being found online. We work hard to offer the highest standard in detailed SEO fixes, search engine optimization, and site repair. Expertise in Google’s SEO guidelines, website diagnotics, and anything that impedes a site from being successful. We understand that most businesses are cost conscience. We conduct our research well and encourage prospective clients to do so before purchasing or committing to a service. We’ll be transparent with you up front: our in-depth audits aren’t cheap. Our commitment is to offer a high-value service may be entirely different than what you are used to. Providing real value involves going to great lengths to do so. Being relational as well as technical means that you can be assured of answers that explain what that value is to your business. When you are serious about reaching new business markets and expanding your brands, you are both ready to make the needed difference. We love it when clients make a dedicated effort to digest our SEO progress reports, which are analyzed in tandem with Google Analytics SEO reports, and then implement the necessary actions. The number of pages your site has that we need to analyze, a number of extraneous files that may need combining, the number of images that need optimization, and your site’s history are just a few factors that roll into the cost of a technical SEO audit. Hill Web Marketing covers the cost of tools needed to perform your site’s audit. Similarly, the same factors impact how long this form of thorough audit typically takes. When your business stays apprised of the continual changes in what is required of a winning website, advances in SEO technologies and combines with our determination and SEO expertise, we promise results! To market your products and services effectively, you need a champion that can help you to out-perform your competition without having to work too hard. Resolving potential issues uncovered in a technical audit can also improve secondary signals that Google considers when deciphering search rankings, including page visits, time spent on a page, site visit duration and impact of bounce rates. Good health is always one of the best long-term investments that you can make. And learning healthy SEO best-practices will make your site’s health much easier to maintain for years to come. * Nor is it a deep dive in duplicate content, advanced opportunities in structure data, or an in-depth backlink audit. While offering a summary in all of these areas, each one merits its own dedicated audit. Honesty, integrity, and leadership remain high-value personal and business credentials. I endeavor to live by this approach in all my relationships and projects. 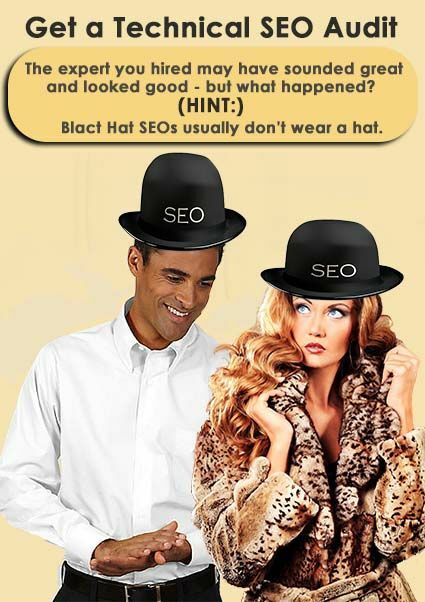 All of my SEO practices use only white-hat ethical tactics. Our technical SEO audits begin at $1,500 (price available through January 10, 2020). The technical side of SEO fascinates me, I love learning more and more about ways it can eliminate barriers to rankings while helping businesses reach their ideal audiences. As SEO continually develops, Google’s Algorithmic advancements offer up more and more chances to improve your consumer engagement online. This means that the technical aspects of SEO continue to become a more important area of focus. Congratulations for reading to this point. It proves that you are serious about optimizing your website for both search engines and visitors. Now we can step in and do the grunt work for you, let you know your next steps. Plans to become ready for new business growth may mean engaging an SEO expert who can move you forward with the various types of SEO audits you need. In the long-run, many of these practices fall into gray area between webmasters and SEOs. But we can draw alongside your existing hardworking staff and offer the knowledge to guide your webmaster in future SEO efforts.